Marinwood, CA: Two members of the Clean Up Marinwood Plaza Now! 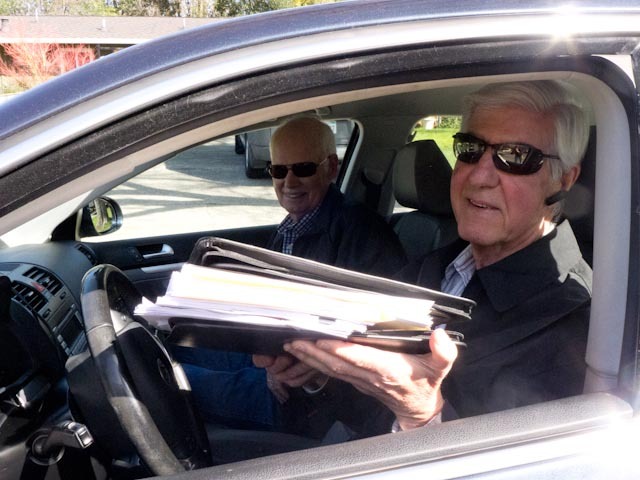 citizen oversight committee, Bill McNicholas and Ray Day of Marinwood, bring a thick file of letters, petitions and scientific data to challenge the Remediation Action Plan for Marinwood Plaza. The plan submitted by Geologica on December 29, 2015 fails to fully identify the extent of the toxic plume, lacks scientific rigor, has testing inadequacies and relies on a scientifically inappropriate means to clean up the site called Monitored Natural Attenuation. 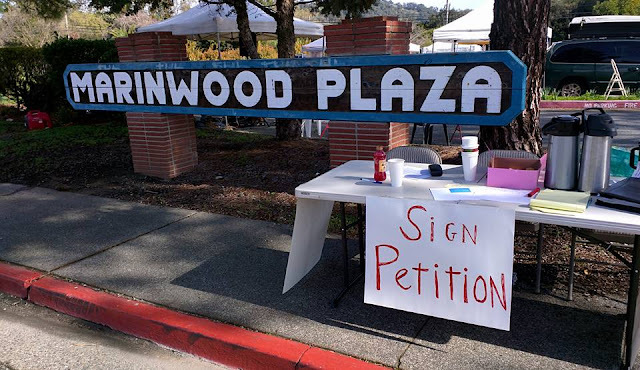 Over 100 people signed the petition over the weekend to ask the Regional Water Quality Control Board to immediately remove the toxic hotspots on the site while a new plan is created and further testing and remediation of the plume continues. All active remediation was halted in 2011 when it was thought that a new buyer would assumption the liability for the cleanup. The property remains in limbo due to the costly and unknown nature of the cleanup. Once the site is cleaned up development can commence. Marinwood Plaza is the only commercial viable location for a grocery store and other retail due to its convenient access to Highway 101. It is our town center. This site also has other toxic issues with MTBE and Benzene and is home to a high powered microwave antenna farm making the site unsuited to residential structures. The community welcomes affordable housing in the style of Rotary Village in Lucas Valley and encourages developers to submit projects that are sensitive to land use and healthy for families.